When it comes to Hearthstone 5 Things You Can Start Doing Today To Get Better At Hearthstone 5 Things You Can Start Doing Today To Get Better At Hearthstone Hearthstone is huge, and that means it's time to actually get good at it! Here are five habits that you need to pick up if you want to improve at Blizzard's new game. Read More (and any other card game The Ultimate History Of Card Games The Ultimate History Of Card Games At some point in your life, you've probably sat down and played a card game. Read More ), finding optimized decks online 3 Hearthstone Streamers To Watch If You Want To Improve 3 Hearthstone Streamers To Watch If You Want To Improve Playing and streaming are two peas in a pod when you're a gamer in 2014. If you play games, you probably watch others play them. For me, it started with League of Legends and has... Read More and using them will always be the best way to climb the ranks. No matter how skilled you think you are at finding card synergies and putting together a deck, you’re not going to outthink an entire community of pros and other players who have broken down every detail and possible card. 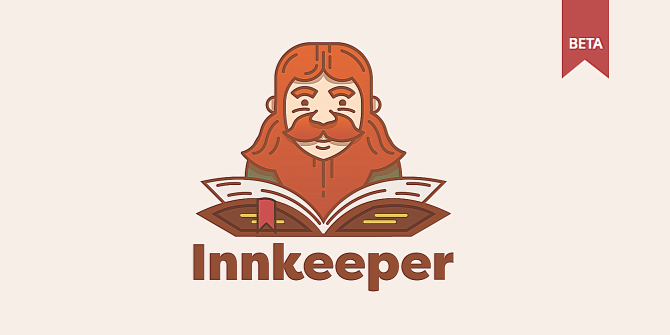 If you prefer to focus on your playing skills and use the popular decks (often called netdecking), Innkeeper is the program for you. This awesome app links up with HearthPwn (one of the most popular Hearthstone deck sites These 7 Websites Will Make You A Better Hearthstone Player These 7 Websites Will Make You A Better Hearthstone Player The best way to improve at Hearthstone is through trial and error by playing the game consistently, but it helps to read and study up. You need to know what cards are popular, who is... Read More ) and lets you see how much dust you’ll need to make a deck, since it scans your card collection so it knows exactly what you have. First, you’ll need to download Innkeeper. Right now, it’s only available for Windows 7, 8, and 10. It’s coming soon for Mac. Once installed, run Hearthstone and play. It’ll scan your card collection in the background. You’ll need a HearthPwn account (which is through Curse, so you might have one already). Now, when look at a deck on the HearthPwn, it’ll show you how much crafting dust you’ll need to make a deck and exactly which cards you’re missing (indicated by the little red dust jars next to the card name). As a bonus, Innkeeper also features a nice deck tracking overlay, so when you’re playing the game, you can actually see what cards you still have left to draw from your deck. It’s a nice little extra feature to have! Do you play Hearthstone? Do you like coming up with your own deck ideas, or do you netdeck? Let us know in the comments!